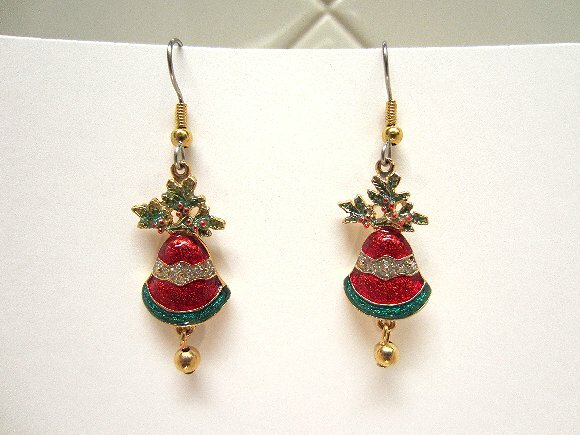 These sparkly red and green enameled charms show a sprig of holly leaves and berries atop a sparkling festive bell. 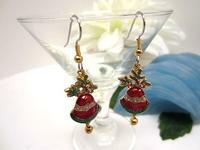 The Christmas earrings have a jointed gold 'clapper' that trembles with the wearer's least movement. 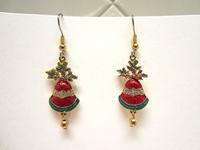 I've added gold plate detailed hypo-allergenic surgical steel earring hooks to make Christmas earrings that are perfect to wear or to give. The slightly concave backs of the charms give the Christmas earrings dimension, as well as making them lightweight. 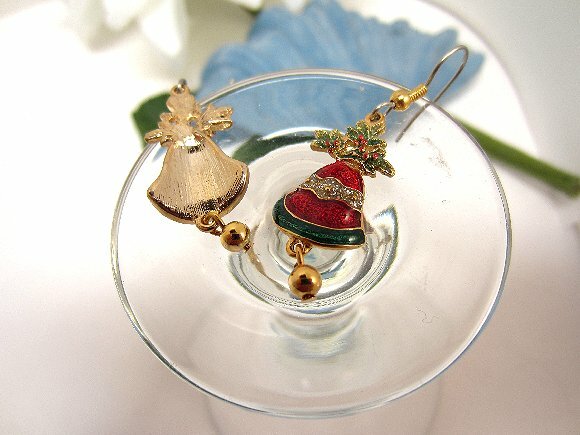 The Christmas earrings dangle about 1-7/8" from the tops of their hooks. I've listed them early so you can snap them up early; at these prices, they'll not last for long! These lovely Christmas earrings are brought to you by SPARKLE PLENTY, of course.